Peanut Butter Cookies, Macadamia Chocolate Chip Cookies, Oatmeal Raisin Cookies, Lemon Poppy Muffins, Cherry Coconut Muffins, Granola Bars and more at the Co-op! Lemon Cadets are at the Co-op! Lemon cake, lemon custard, vanilla buttercream, Oh yeah! Ginger Peach Muffins, Chocolate Chip Muffins, Oatmeal Cream Pies, Chocolate Cream Cookies, Almond Chocolate Chip Cookies(gluten free), Lemon poppy Cookies and more at the Co-op. Fruit sweetened Apple Blueberry Cake. Just sweet enough for baby's first birthday cake. Chocolate Cream Cookies, Lemon Poppy Cookies, Peanut Butter Cookies, Almond Chocolate Chip Cookies(gluten free), Oatmeal Cream Pies, Cherry Lemon Muffins, Granola Bars, Double Chocolate Brownies(gluten free), Vanilla Cream Filled Cakes(twinkies) and more at the Co-Op. 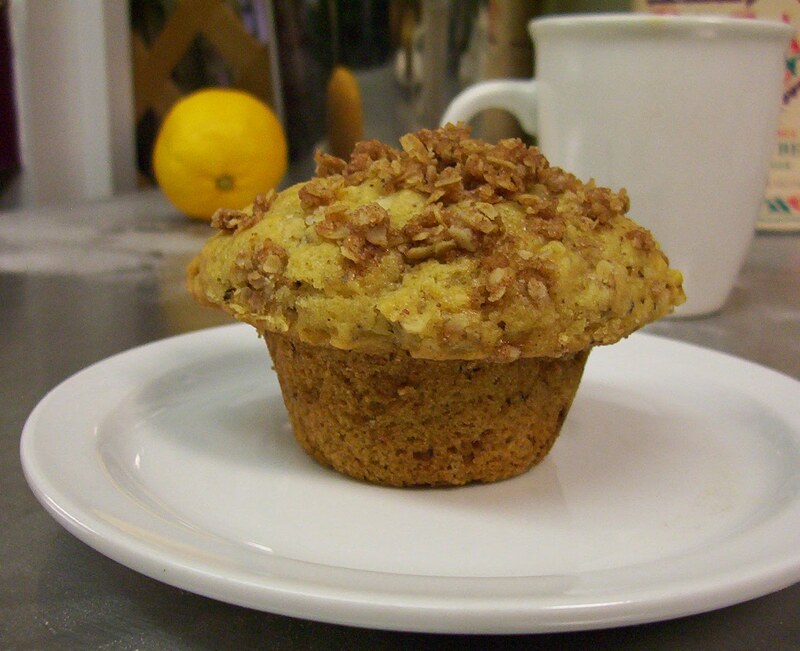 Walnut Streusel Muffins are at the Co-op. Last chance to place your order for Mother's Day cakes! Gluten free options are available. Chocolate Cakes with Peanut Butter Icing, Ginger Peach Muffins, Oatmeal Raisin Cookies, Oatmeal Cream Pies, Double Chocolate Brownies(gluten free) and more at the Co-op. Show your mother some love and order her a cake! Chocolate Raspberry, Lemon Ginger, Coconut, or Vanilla Cake. Gluten free options are available. TheVenerableBean@gmail.com for ordering, more options and details. Peanut Butter Cookies, Chocolate Cherry Cookies, Lemon Poppy Cookies, Oatmeal Cream Pies, Chocolate Chip Muffins, Granola Bars and more at the Co-op.